More than 100 people were arrested, £133,000 in cash was seized and dozens were safeguarded in connection with county lines drug-dealing a 'week of action' by police. Last week, Thames Valley Police worked closely with local authorities, homeless charities and schools for an 'intensification' of its activities to tackle the issue which has been plaguing the region. Detective Chief Superintendent Richard List said it was a 'hugely successful' week in the fight against county lines drug-dealing and organised crime groups (OCGs). “I see the fact that we have safeguarded a number of adults and children from being exploited through violence, fear and intimidation by drug dealers this week as a real success." County lines drug-dealing is where OCGs use phones to move and supply drugs, usually from cities into smaller towns and rural areas. This type of drug dealing exploits children and vulnerable adults who may have mental health or addiction problems, according to police. Generally these people are exploited by criminals to supply and 'run' drugs through violence and intimidation. The week-long campaign saw officers from the Thames Valley carrying out warrants, making arrests and other activities to disrupt county lines drug dealers. This led to 106 arrests, 27 warrants executed, 156 stop and searches, and officers took over 2,800 wraps of cocaine, heroin and cannabis. As well as the cash, officers took a number of weapons including machetes and flick knives, and seized 147 phones linked to drug-dealing. As a result of the campaign, 43 children and 69 vulnerable adults were safeguarded, and officers carried out 41 school visits to give young people and teachers help on how to spot the signs that someone is being groomed by an OCG. Officers also visited 115 addresses where known 'cuckooing' has taken place - where OCGs target the address of a vulnerable adult, taking over the property that the adult is living in and forcing them to sell drugs out of their home. 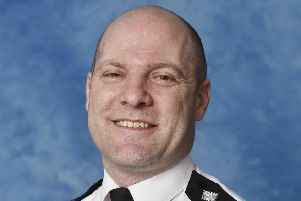 Det Ch Supt List said: “This intensification week is just a continuation of the work Thames Valley Police officers and our partners have been carrying out over the last few years.